Product categories of Tequila Bottle, we are specialized manufacturers from China, Tequila Bottle, Tequila Glass Bottle suppliers/factory, wholesale high-quality products of Round Tequila Bottle R & D and manufacturing, we have the perfect after-sales service and technical support. Look forward to your cooperation! Tequila is a popular distilled spirit that is rich in a history, Originally used during rituals beginning 2,000 years ago, tequila has evolved into the potent spirits we drink today. In recent years, it has transcended a quality that few of us could have dreamed of just a couple of decades ago. Our mission is to use the unique glass to dress this popular spirits to make it more fascinating. 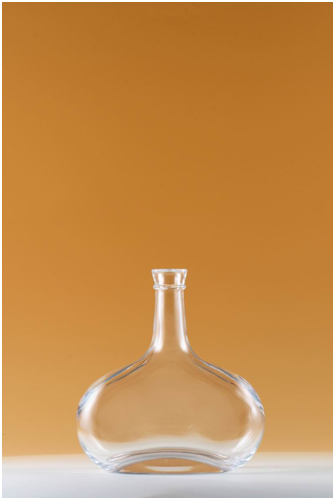 we use the extra-flint, high-flint and flint glass and though various post-processing procedures such as color spraying, carving, decoration firing, frosting, sandblasting, laser engraving, polishing, silk screening and printing, etc, to custom the most unique bottles for your special Tequila.